AMIGO Managed Services by Global CTI redefines what “good” should look like. We expand the definition of IT and help you realize maximum efficiency and performance out of your network and applications. AMIGO ensures that you are better equipped to manage your technology costs and results. 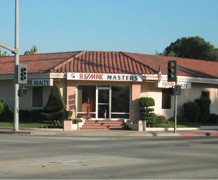 REMAX MASTERS Realty, a Covina-based real estate agency with 6 remote sites, 40 Corporate Users, and over 200 Real Estate Agents, needed a network refresh. They were adding a new location that was operating with an older, non-business class network which was causing issues with productivity and agent retention. The organization was utilizing a full time staff member to manage their network, but knew they needed a managed service provider with more time and resources to provide the service and attention they needed. Global CTI welcomed the opportunity to serve the customer through its managed service offering, AMIGO. In order to boost productivity and aid with agent retention, the AMIGO team needed to bring the client’s network into alignment with current IT standards. Global CTI consulted with them to develop a strategic plan for refreshing their network (routers, switches, Wi-Fi) to bring it up to a true business grade environment. When this customer first became an AMIGO client, Global CTI’s Client Care team was fielding between 75-100 calls per month from a single location. Since the upgrade, Global CTI is now only fielding about 10-20 calls in a given month, and most of these are related to small user issues that are resolved immediately. As a result of AMIGO’s service, our client can now retain more agents who are now more productive – ultimately adding profit to the bottom line. Call us to speak with one of our AMIGO team members and see if we’re a good fit for your organization.